Check out the 1-page print ad for the Strategic Insight 529 Conference 2019. It will be included in some of the upcoming Strategic Insight media brand publications, and a special thank you to the Strategic Insight design and conference team for creating the collateral. The Kids You Love Next. On February 10, 2019, this short podcast on the ABLE industry was created live during a presentation and includes a market data update on the volume of assets and number of accounts as of 4Q 2018 with benchmark comparisons. 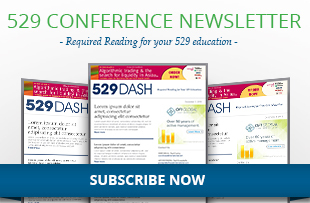 What are the top trends and topics in education financial planning and the 529 industry?